Read this complete guide on tyre ageing and debunk the common misconceptions which tyre buyers usually have while buying tyres. As a customer, it is natural for us to feel disappointed if the purchased commodity is not as fresh as it possibly should be from the date of manufacturing. And to its credit, the logic works pretty well when it comes to perishable goods, especially food items that are bound to become stale and lose quality and value over passing time. However, the same cannot be said for all products alike. Every product in all probability would have an expiration date but some might last long and much longer than others. When it comes to the tyre industry, buying a fresh set of tyres can be an important aspect to customers but at what point does that desire become paranoia. Let us break this down into a very simple everyday life example. You go to a grocery store to buy perishable foodstuffs, which may have an expiry date of 2-3 days to 2-3 weeks from the date of manufacturing and you would wish to buy them as fresh as possible. However, the same expiry duration of days, weeks or even months/years is not true for tyres that you purchase. But how far can you go beyond the manufacturing date when it comes to purchasing a tyre, let’s find out. How long do the tyres last if not used? 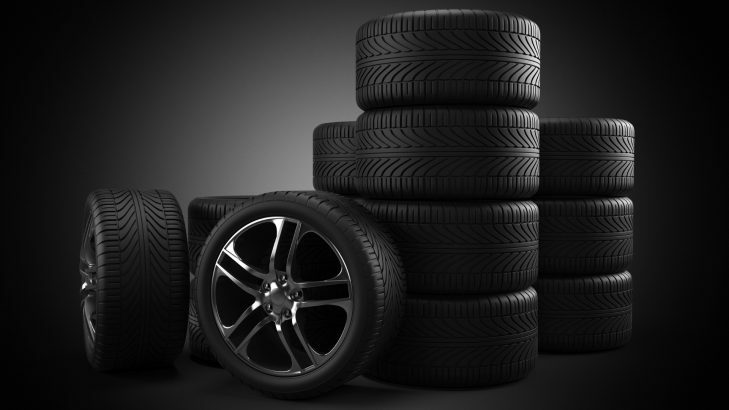 According to the National Highway Traffic Safety Administration (NHTSA) US, unused tyres are 100% safe depending upon storage and environmental conditions for a period of 6 to 10 years. In fact, there are many studies that suggest that a tyre can last up to 10 years if checked for safety issues annually from the 5th year onwards. This clearly indicates that there is a big difference in treating two different products with the same perspective as a consumer. But the key statement here is, “depending upon storage and environmental conditions”. As a customer, it is important to be aware of the product you purchase so that you can make an informed decision. So, what sort of storage and environmental conditions are expected here, let us understand. Oxygen is the major cause of rubber wear and tear. It causes damage to the rubber from the inside and outside. Compressed air in an inflated tyre is 21% oxygen, which makes the process of oxidation fast. The presence of anti-oxidant agents does slow the ageing process but the polymer structure is bound to get damaged by the presence of oxygen. On exposure to the sunlight, the tyre rubber absorbs UV radiations. This UV radiation also causes deterioration which is called ‘Photodegradation’. The use of carbon that absorbs sunlight is used by the tyre manufacturers in order to counter this degradation and elongate the tyre life. Ozone is essentially oxygen with an extra atom found in it. This gas comes into play in cities where the pollution is more as compared to small towns. It leads to faster deterioration of the rubber. This degradation is fought by placing special compounds in the tyre. Heat and oxygen are unpleasant combinations that reduce the tyre age. Thankfully, tyres when not being used are placed in a customized environment that keeps them fresh and in more than a usable condition. If the tyres are kept in a cool place where the temperature is optimum for the tyre to remain unharmed, its longevity is increased. Thankfully, it is a completely controllable factor for the manufacturer or the distributor and they ensure this aspect, which means the consumer does not suffer. The tyre should not be attached to any ozone producing equipment. This is another precaution that is easily managed by the tyre manufacturers and distributors alike. The tyres have to be kept in a storage room that does not have any kind of humidity that produces a liquid which are potential sources of ozone. This again is well executed by the tyre manufacturers who keep their products in customized warehouses. Tyres once deformed cannot regain their original shape. That is why it is important that they are kept on an elevated surface at a vertical angle and are not mounted or inflated. Again, most of the tyre makers vouch for this as well. How to check the manufacturing date of the tyre? You can check the tyre manufacturing date on the tyre that appears as a part of the DOT which is Department of Transportation code. 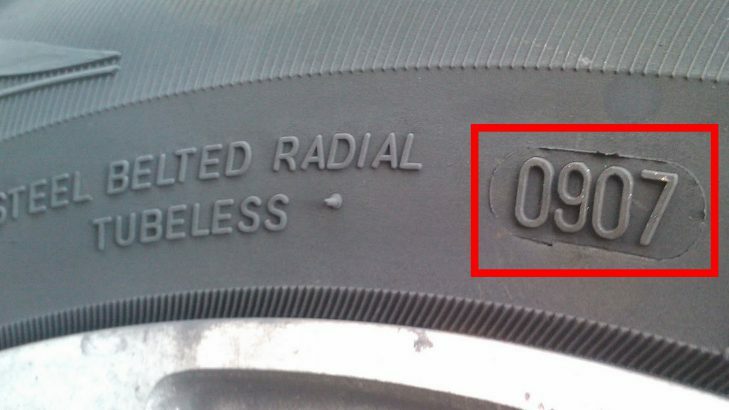 To find the tyre manufacturing date, you have to locate the 4-digit number on the surface of the sidewall, similar to what is shown in the red rectangle in the above-given image. For e.g., if the number embedded on the tyre sidewall is ‘0907’, it means that the tyre was produced in the 9th week of 2007 i.e. February fourth week 2007 (between 26th Feb, 2007 – 4th Mar, 2007). Now, as we have acquired a more comprehensive understanding of how tyres are stored after manufacturing, let us now burst some of the common myths associated with the performance of old unused tyres. 1 Tyres age quickly when kept idle in a warehouse due to oxidation. All major tyre manufacturers use an anti-oxidising agent that slows the ageing process and elongates the life of the tyre. 2 Tyres get deformed over time. As we learnt earlier, tyres are not inflated before use and are kept in a manner that protects them from deformation. 3 They get damaged due to weather and heat. 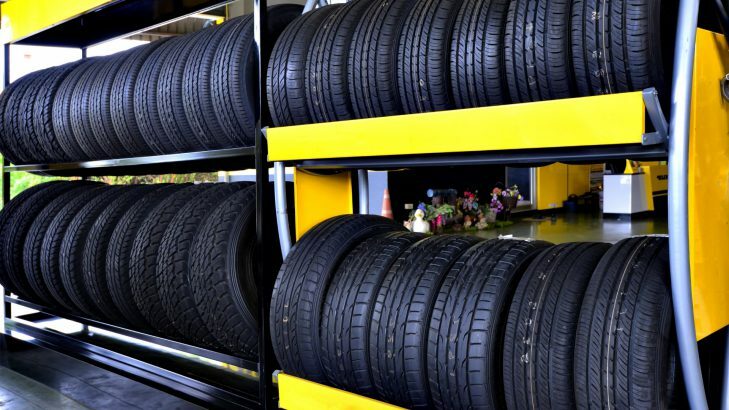 Again, as we learnt before, the tyres are kept in a storage facility that has an optimal temperature devoid of outside humidity to increase the tyres’ life. 4 Tyres should be checked for their manufacturing date for best results. Tyres are as good as new until their installation. So you should check for installation date rather than the manufacturing date. We hope that this would provide you more clarity as a tyre consumer and would help you make better decisions by not going into a frenzy when the tyre is not from the same month, or even same year, of manufacturing. At the end of the day, losing extra money over unnecessary safety concerns and preventing money at the cost of safety issues are not worthwhile. The more informed you are, the easier your life becomes.